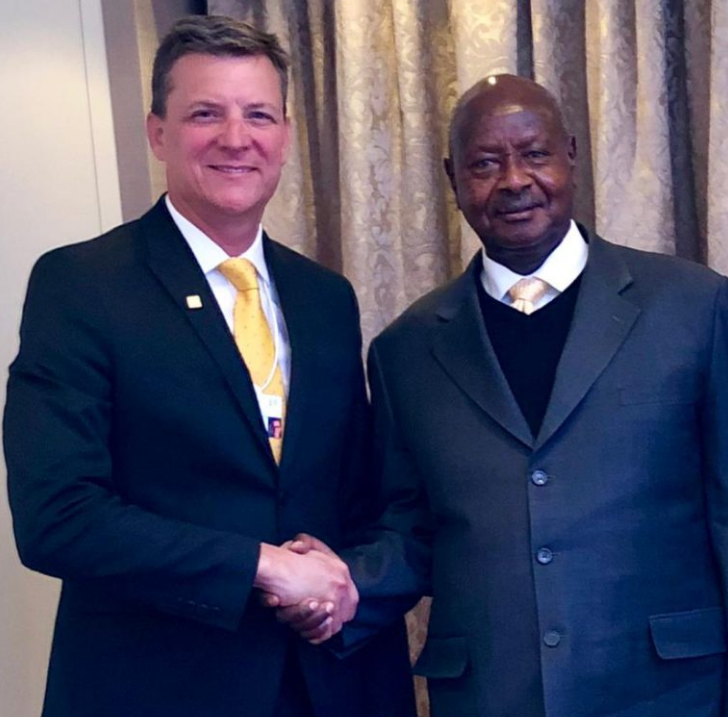 DAVOS, Switzerland – The Chief Executive Officer MTN Group, Rob Shuter, has met President Yoweri Museveni in a bid to resolve the ongoing standoff between the South Africa telecom company and the Kampala regime over spying allegations. Mr Shuter met the President on Wednesday at the ongoing World Economic Forum in Davos, Switzerland in to reaffirm MTN Group’s commitment to Uganda and discuss recent developments in the market. Police sources have told this website that they are looking for more MTN employees in connection with inciting violence.